Have you ever heard of Silan? I just found out about this gift of deliciousness and couldn't wait to share it with all of you! So, you may be asking, "What is Silan?" I'm so glad that you asked. Silan is date syrup. Isn't that kinda crazy?!? It's also a fatastic alternative to honey and pack with nutrients like iron, potassium, copper, magnesium, and manganese. 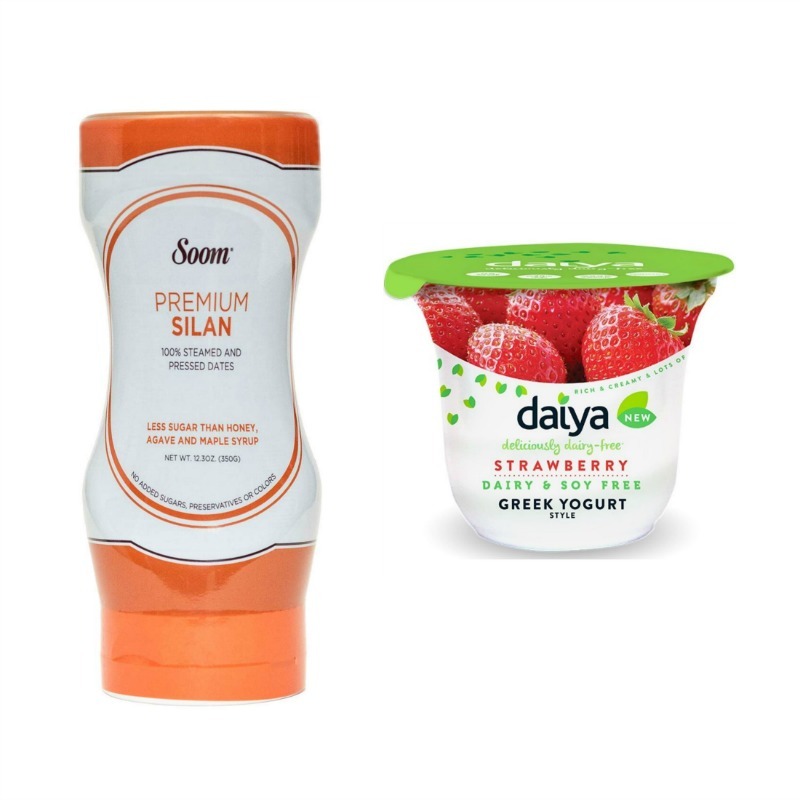 Silan fits into vegan, Paleo, kosher, dairy-free and gluten-free diets. Souns good doesn't it? Okay, moving on to the recipes. Preheat oven to 350°. Pour oats, sunflower seeds and almond into baking pan. Mix gently. Slowly heat Silan, brown sugar safflower oil and vanilla on stove, over a low heat and stir occasionally until mixed. Pour over oat mixture. Add coconut and make sure that mixture is even in pan. Bake for 20 minutes, stirring often to ensure even browning of granola. Remove from oven and add cranberries, raisins and dates. Let cool completely and place in an airtight container. Enjoy with Daiya yogurt! I caution that you should keep a close eye on the shredded coconut when toasting because it burns easily. 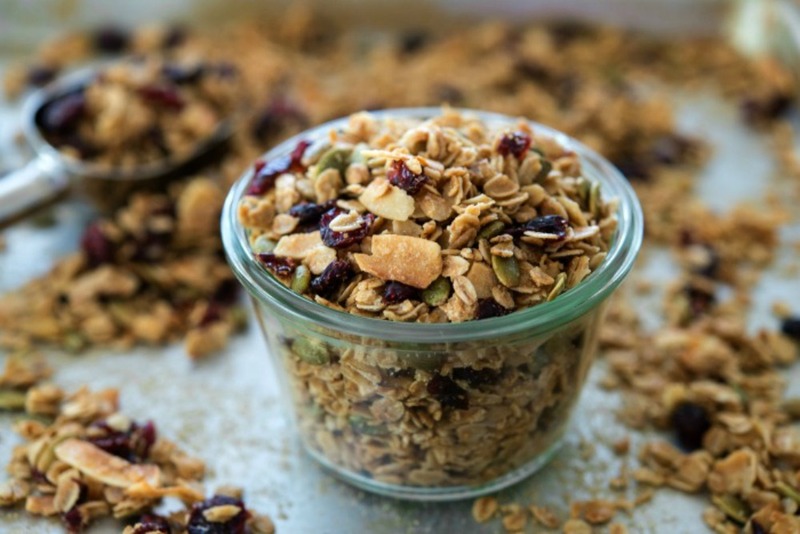 Also, you really need to stir the granola about every five minutes for an even bake, and lastly … this is delicious and makes the perfect breakfast or snack or even dinner so you can expect your granola to disappear rather quickly.